When will the Ravine Run Mountain Marathon powered by Mala’s 2018 take place? The event is scheduled for Sunday, 2nd December 2018. 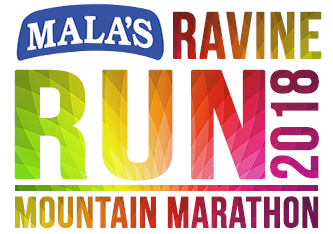 When can I register for the Ravine Run Mountain Marathon powered by Mala’s 2018? The registration of Ravine Run Mountain Marathon 2018 will commence on 1st of September 2018. What is the last date of registration? Regular registration for the Half Marathon will end on Nov 11th 2018 (online), we will accept local registration until Dec 1st 2018 at Ravine Hotel, unless we have reached our Quota of Runners. So better to pre-register to insure your spot. How do I register for event? Registration for the Marathon can be done at the TOWNSCRIPT website click here, you can also submit a physical entry form at the Ravine Hotel along with the Entry fee. What are the events at Ravine Run Mountain Marathon 2018? A Timed HALF MARATHON (21.1 km), a Timed 10K Run, and a 5K RAINBOW RUN (not Timed). What time will it start? The Half Marathon (21.1 km) starts at 6:30 AM. | The 10K Marathon (10 km) starts at 6:30 AM. | The 5K RAINBOW RUN (5 KM) starts at 9:00 AM. Is it a timed event? Yes, Timing chips for computerized recording of your run will be provided to all runners of the 21.1 km & 10Km.NO timing chips for the 5KM RAINBOW RUN. Where does the race start? Where does it end? The route for all the races is an OUT & BACK course. The Starting point as well as Finish point is the Sanjeewan High School Ground. A detailed map of the route, along with the photos of the course, and elevation profile is available on our website. You can have a look at it here (link to maps). (Final details of the route are subject to approvals and permissions from the respective Official departments. The final announcement in this regard will be made at the appropriate time). Can I transfer/cancel my registration? Will there be any refund ? Sorry, no cancellations / transfers are possible and registration fees are non-refundable. Oops! I have made a mistake in one of my registration fields. How do I correct it? Please send us an email with the correct details and we will update it. Use the contact us from at the bottom of the page. There was a problem during registration. I have been charged but I did not receive a confirmation. What should I do ? Under exceptional cases, in case the transaction failed at the payment gateway stage, and if the money was debited but a confirmation was not generated, the money will be credited back to your account within 3 working days automatically. However, please email us with details of your registration – date of registration, name and your mail id and we will follow up to ensure the problem is tracked and dealt with. When and where can I collect my Race number/BIB and Race Kit ? The race kit can be collected only on Saturday,1st December 2018, at the Ravine Hotel, Panchgani Race Expo. It cannot be collected either before or after that (on race day) It is not possible for us to courier the Race kit or hand it over to any unauthorized person. If you are unable to collect your race kit personally, you can send a person with the Authorization letter Download Here, duly filled in and signed by you, to collect it on your behalf. You will receive the authorization letter by email, in due time. Can I collect my Race kit on any other day ? Can my friend collect it for me ? The race kit can be collected only on Saturday,1st December 2018, at the Ravine Hotel Race Expo. It cannot be collected either before or after that (on race day) It is not possible for us to courier the Race kit or hand it over to any unauthorized person. If you are unable to collect your race kit personally, you can send a person with the Authorization letter Download Here, duly filled in and signed by you, to collect it on your behalf. You will receive the authorization letter by email, in due time. What will i get in lieu of the registration fees? A Goodie Bag with T-Shirt and Local specialty items. Beautiful Finishers medals for all participants. Timed event for 21K & 10K. Hydration Stations along the route. Access to Finish Line Party. (21K/10K) Attractive Prize money for winners. (21K) Access to the Team Competition and a chance to win attractive Gift Hampers by Mala’s. How much is the Prize money? Total Prize money and Gift vouchers are mentioned on the events page. The breakdown for each event is also detailed there. What are the Age categories for the various events? Open – 16 yrs complete to 34 yrs. | Champs – 35 yrs to 44 yrs. | Super Vets – 45 yrs. to any age. How should I train for the event? Are there any training runs scheduled? This being a hilly run, training on slopes / inclines is recommended as a part of your training. Please check out these links for helpful tips and training regimes. Half Marathon Novice 1 Training Program | Half Marathon Training Schedule for beginning runners. You can send us an email at events@ravinehotel.com or use the contact us form. You have mentioned that one should include “hill-runs” in the training. There are no hills in my area. How should I train for the same, if I want to run and train for the Ravine Run Mountain Marathon ? Please suggest an alternative if possible. You can look out for manmade slopes like parking lots, ramps etc. You can also run on a Treadmill with an inclined ramp. Alternatively, running up and down stairs in a building (gradually increasing the number of stairs and speed) is also a good strategy.